Our Jewelry is made of durable stainless steel so it won't rust or corrode! ♥This is a great gift for all kinds of occasions, especially for your father of the bride (or groom) gift, our Dad, Grandfather, for boyfriend, Father's Day, Christmas, wedding party; groomsmen,..etc.! Our jewelry is a unique and affordable way to express your thoughts whether for yourself or as a gift for someone special. Attention please:Melix is a registered trademark, and is exclusively distributed by Melix. Melix trademark is protected by Trademark Law. All rights reserved. 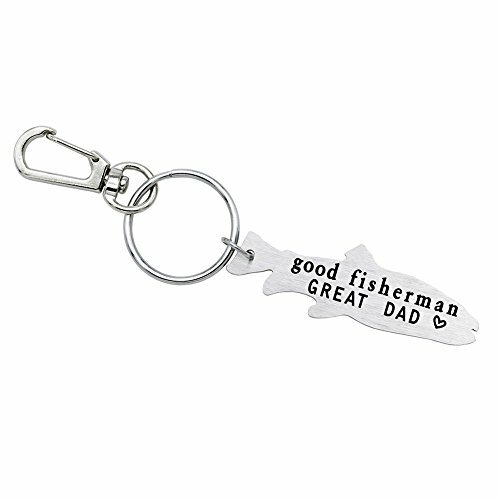 This would make a great Grooms gift for that 'hard to buy for' fisherman in your life. Material: Stainless Steel Key Chain . If you have any questions about this product by Melix Home, contact us by completing and submitting the form below. If you are looking for a specif part number, please include it with your message.